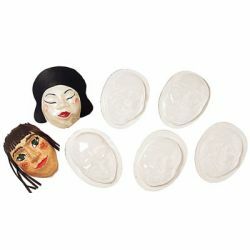 10 large, clear molds featuring 5 ethnically diverse children. Fill with Plaster of Paris, papier mache or air-dry clay. 5-1/2" x 7". Includes idea guide.